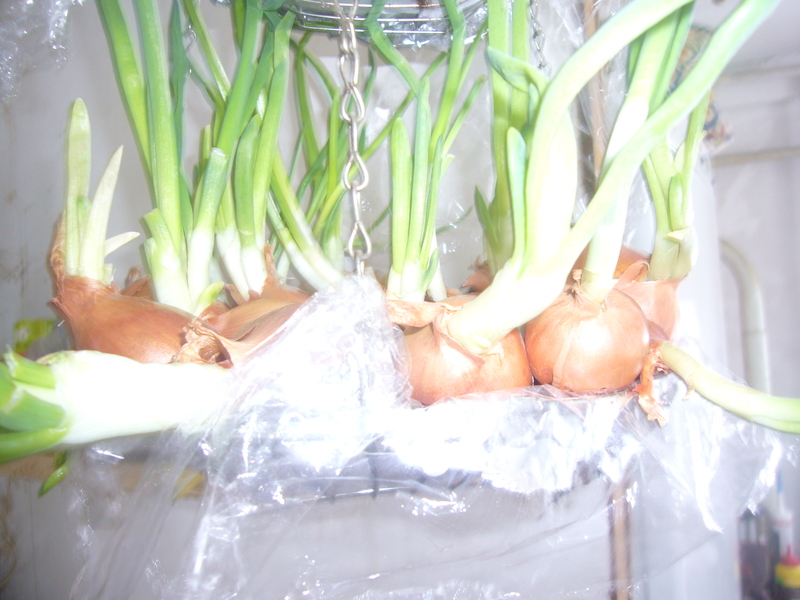 There are several benefits of growing green onions. For one, you get fresh, vitamin rich greens and ecologically clean and safe, too. Plus, it saves you money, as where I live, a pound of green onion costs as much as pound of meat. That’s onions and garlic growing. I got a sack of onion to last me for the winter. Some of them started to grow. I also had an old kitchen hanger I used to store herbs in. 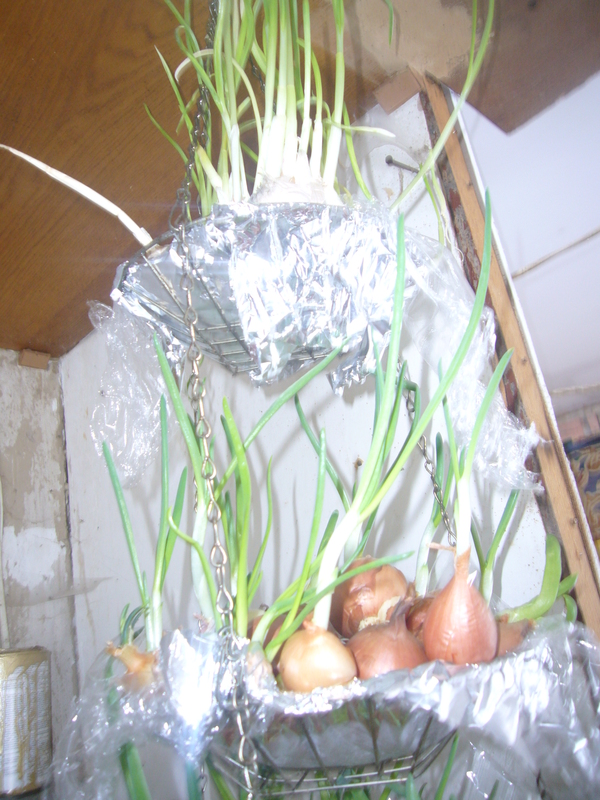 I put some foil on it, then put some cotton wads in to keep the moist, poured water and set the onions in. This entry was posted in Uncategorized and tagged food, green onion, greens, growing green onion, onion, saving, vitamins. Bookmark the permalink.